A businessman from Cumbria made a switch from working as a full time Joiner to professional lawn care as he launches his own franchise business to serve customers across Northumberland and Carlisle. Aidan Potts has undergone significant training with international franchise TruGreen Professional LawnCare, which is a franchise of one of the UK’s leading and largest multi-brand franchisors ServiceMaster, and he is the new owner of TruGreen Northumberland and Carlisle. 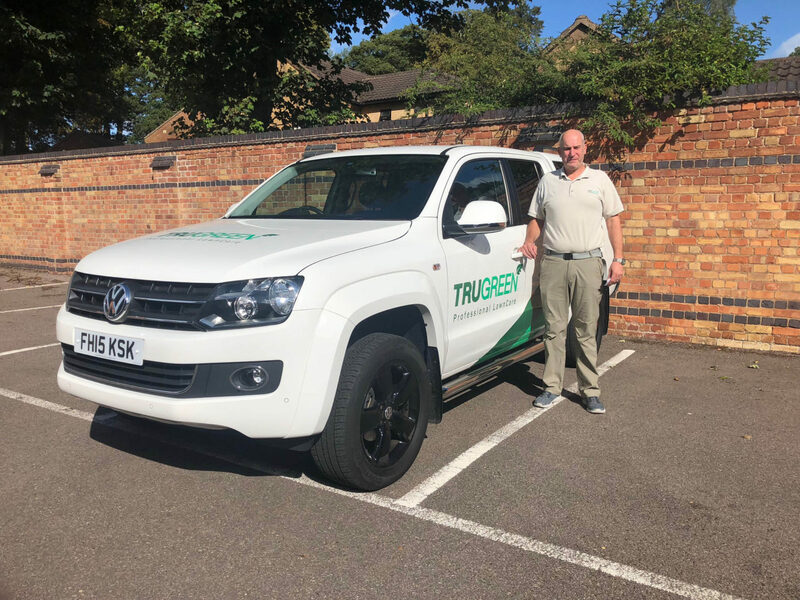 TruGreen has been servicing customers in Northumberland and Carlisle for many years and Aidan is keen to continue with this, whilst expanding throughout the region. Aidan previously worked as a self-employed joiner and did everything from building work to plumbing. Aidan and the previous owner of TruGreen Northumberland and Carlisle, John Davy, have been good friends for many years, and when the opportunity arose for Aidan to take over, he jumped at the chance. In his spare time, Aidan enjoys playing Golf and spending time with his family, Nicola and Rory. He also enjoys walking his two dogs, Lunar and Starr through the countryside. Both will no doubt be seen in the TruGreen van from time to time! All new TruGreen franchise investors undertake intensive training at the ServiceMaster Franchise Support Centre under the tutelage of TruGreen brand operations manager and former Wembley head groundsman, Steve Welch and the wider ServiceMaster franchise support team. As part of the training, Aidan achieved his City & Guilds NPTC Level 2 Award in the Safe Use of Pesticides (PA1 and PA6), which allows him to provide a professional, accredited and safe service to customers. A North Hampshire and West Surrey Lawncare company is celebrating after collecting... Confused about chafer grubs?